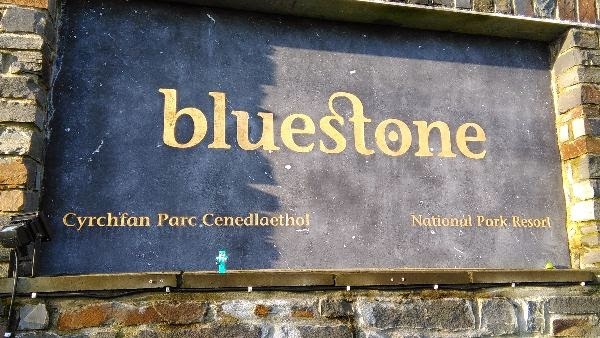 In January 2015 we were fortunate enough to be given the chance to stay at Bluestone in Pembrokeshire. For the sake of full disclosure I should point out that the stay was free (I promised to write a review) but I should also point out that this was the second time we had been there. The first occasion was in June / July 2014 so if we hadn't enjoyed the first time we paid to stay I wouldn't have bothered emailing them and blagging the second. The slate and stone sign as you enter the resort. 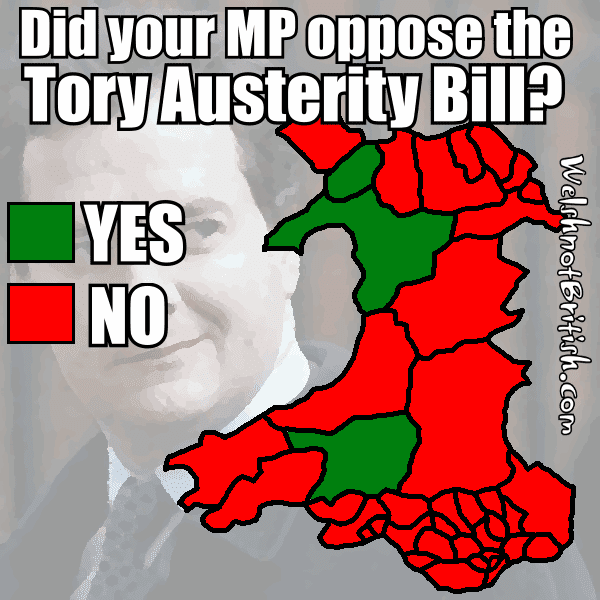 Did your MP vote against the 'Tory Austerity Bill'? 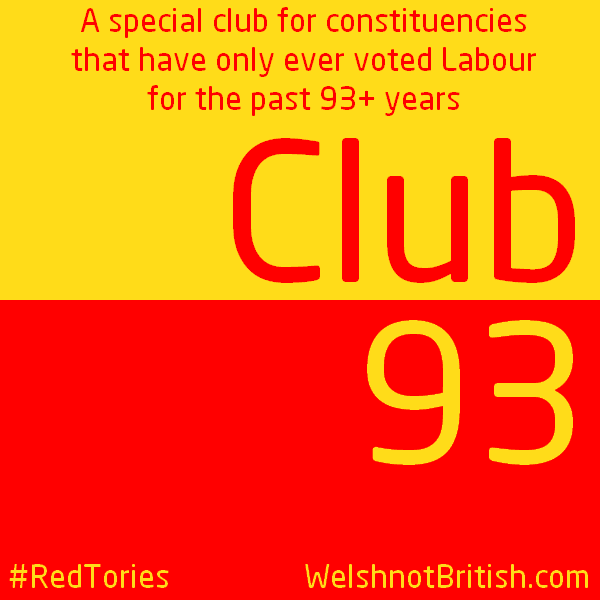 It's been another interesting week for the Red Tories. On Sunday 11th January Ed Milliband stated that we "we have got a zombie Parliament which isn’t doing anything, isn’t actually passing much legislation". If his pals in the Blue and Yellow Tories are heading a zombie Parliament then surely this means he is heading a zombie opposition as his party do not actually oppose anything. A few days later they had the perfect opportunity to oppose the 'Charter for Budget Responsibility' which is the fancy name for the 'Tory Austerity Bill' which is an even fancier name for '£30 billion worth of cuts'. With a general election around the corner it's worth pointing out another colonial gang of Brit-centric scumbags, the Englandandwales Green Party. 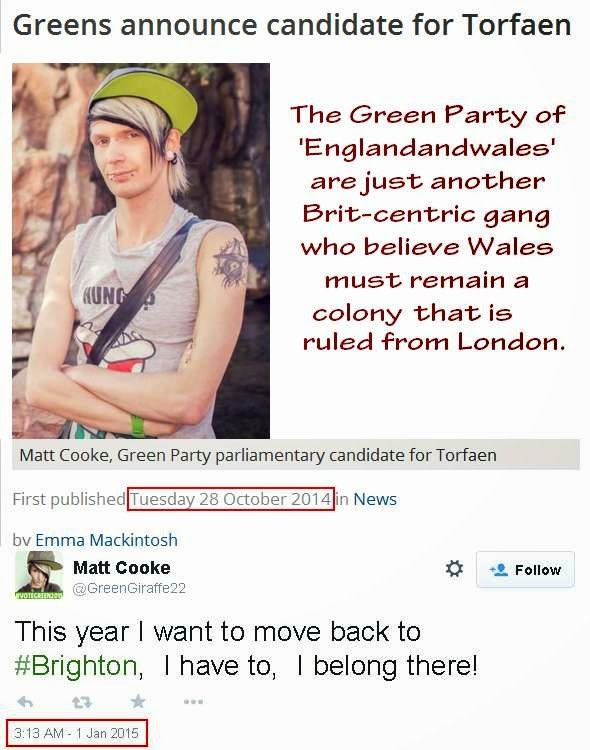 Here's Matt Cooke, parliamentary candidate for Torfaen who the South Wales Argus announced as the Green 'alternative' back in October 2014. Matt then tweeted in the early hours of New Years day what can only be described as his resolution for the year. It wasn't to be elected, but to go back home. The recent announcement that the UK Government has decided to put a Union rag on UK driving licences has clearly not been thought through. 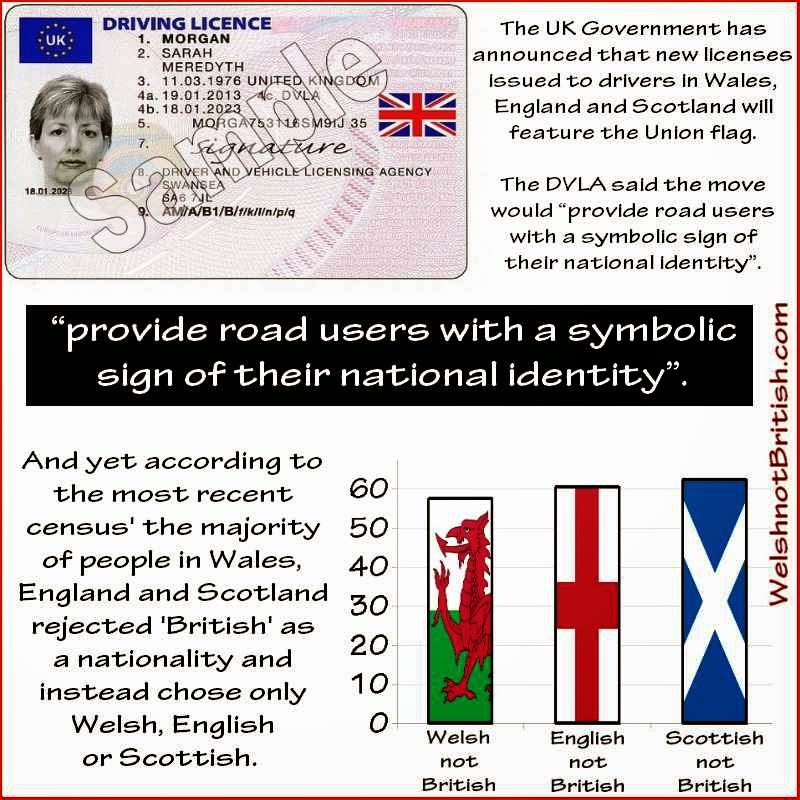 According to the Daily Post it will “provide road users with a symbolic sign of their national identity”. Regular readers will realise this is in fact nonsense as British is not the national identity of the majority of people in Britain. How do I know this, well, they told us so via the most recent census'. In 2011 in the census of Englandandwales and the 2011 census of Scotland.